1. Weekly Market Update: Big news headlines and the threat of looming deadlines on tariffs and the next shutdown could not budge shares prices much this week. After a five week, 15% run, stocks took a consolidating breather. The Dow and the S&P 500 eked out tiny gains while Mid cap stocks led the way up .77%. Due to concerns of slowing global growth, interest rates sensitive assets performed well while international stocks gave up some of their recent gains. Muni bonds were up .54%, the broadest measure of the US bond market, the Barclays AGG bond index was up .40% and Real Estate Investment Trusts (Reits) were up a bit over 2%. 2. 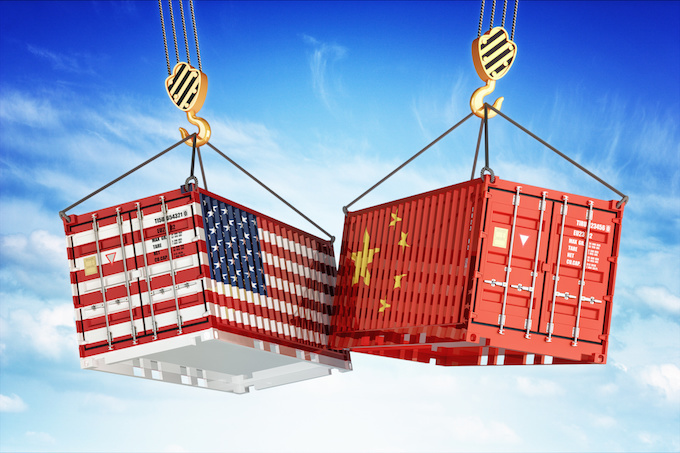 Trade Concerns Took Center Stage: It was announced Thursday that a 1:1 meeting with President Trump and Chinese Premier Xi was unlikely to occur before the stated March 1 deadline. A hopeful stock market reacted with a mild decline as a big part of the recent rally has been pinned on soothing trade tensions. The on again, off again trade deal remains the biggest obstacle for companies to forecast their profit and revenue targets for 2019. Trade has been the dominant theme in fourth quarter earnings reports, and will continue to be for the next several weeks. A delegation between the two countries will meet next week to continue to work on a deal. The Trump administration downplayed expectations of a senior level meeting prior to the deadline and highlighted the importance of focusing on the President’s scheduled meeting with North Korean leader Kim Jong Un on February 27th & 28th. 3. The State of the Union Address Tuesday night provided great theatre as many politicians looked like teenagers who were very unsure about when to cheer or frown. President Trump talked up bipartisanship while sticking with demands to build a border wall and called for an end to “partisan investigations.” Trump reiterated a trade deal with China would need to include structural change but there was no announcement that he’ll use emergency powers to get funding for the wall. Wednesday morning, the market reacted to the speech with a big yawn. 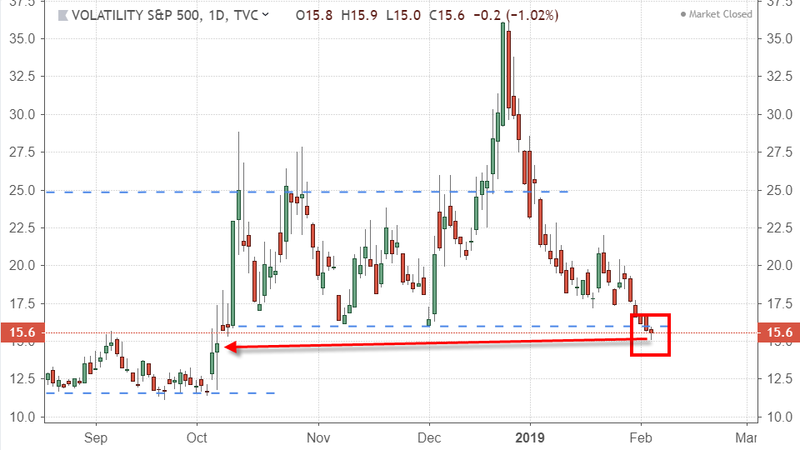 Prior to President Trump's State of the Union address on Tuesday night, the VIX (or CBOE Volatility Index, also known as the 'Fear Gauge') dropped to touch its lowest level - around 15 - since early October. Investors' fear levels are now back down near where they were before the prolonged market shake-up of the past four months. The VIX index has fallen below its 200-day moving average, a significant indication that fear and volatility are indeed on the decline. Investor complacency is prevailing once again, and the overall market bias has clearly shifted bullish. 4. Government Shutdown Countdown: The Feb. 15 deadline for U.S. lawmakers to reach a border-security agreement and avert another partial government closure is looming ever larger, and the two sides still appear far apart. The top Democrat working on the deal said a bipartisan agreement by the end of this week should be possible, but President Donald Trump’s refusal to sign a bill without funds specifically for a wall hangs over everything. Acting White House Chief of Staff Mick Mulvaney said if Congress doesn’t agree to Trump’s request for $5.7 billion, “we’ll figure out a way to do it with executive authority.” House Speaker Nancy Pelosi said the committee working to resolve the stalemate needs to finalize the plans soon to allow time for votes in Congress. 5. Corporate Earnings continue to be the good relief news for the market. Investors had expected a large earnings disappointment coming into 2019. Earnings have come in better than expectations. With 60% of S&P 500 companies reporting, firms are on track to grow earning more than 12% from a year earlier and earnings surprises are averaging about 3% The question going forward is how earnings look for 2019. According to Zacks Investment Research, estimates for first-quarter earnings growth is now -2% compared to the same quarter last year. Although growth rates are anticipated to return to positive territory later in the year, the outlook puts additional emphasis on any forward guidance during this quarter’s earnings season. We are seeing a significant disparity between corporations that are faring quite well and between those that are being affected by trade issues and a slower world economy. Active managers should be able to provide good value and better returns over indexers if this scenario persists. 6. Europe Hits the Brakes: As the March 29th deadline for Brexit approaches, the uncertainty swirling around Europe is intensifying. On Thursday the European Commission cut its growth outlook for the euro zone for 2019 citing global trade tensions, among other issues. The Commission said euro zone growth will slow to a positive 1.3 percent this year from 1.9 percent in 2018, before rebounding in 2020 to 1.6 percent. Slowing global growth is a key reason why 10-year US Treasury bond yields have fallen from about 3.1% in Mid-November to just 2.75% today, despite a strong US economy. Yields on 10-year German bonds have fallen more dramatically from 0.55% in October to just 0.15% today. 7. The Year of the Pig: We’ll take this opportunity to wish a Happy Chinese New Year to all those who celebrate. It's the Year of the Pig. In Chinese culture, pigs are a symbol of wealth. 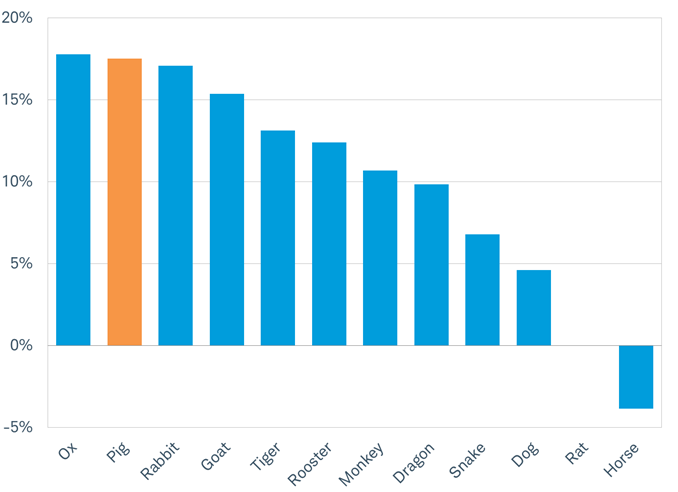 If you look at the chart shared by Jeffrey Kleintop, Chief Market Strategist for Schwab, you'll see that the Year of the Pig has delivered generous returns for global markets. Let's see how it fares in 2019….Chinese markets were closed for the week so we did not get any official economic data and the holiday is a likely reason for little progress on trade issues.